With property prices soaring in the UK, many renters and owners are finding themselves with less spacious, ‘cosier’ properties than they might otherwise have hoped for. Despite this news, it appears that it's those of us living in London (where property prices have increased by 20% over the past 6-7 years) who are being hit the hardest. Elsewhere in the country, prices are actually slightly lower than they were before the financial crisis of 2007/08. If you're a young person looking to step onto the first rung of the property ladder, it may mean you'll be forced to choose a much smaller property than you had anticipated. What has this got to do with bathrooms? In all the above cases, you are likely to find yourself having to work with a limited space in your home. But this needn’t necessarily mean sacrificing comfort and style. And no matter where you live, your bathroom will be an essential feature of your home’s style and atmosphere. In fact, it's a central feature that is overlooked all too often. The appearance and feel of your bathroom can set the tone for your entire home and you should think carefully about every decision you make with your bathroom’s décor. 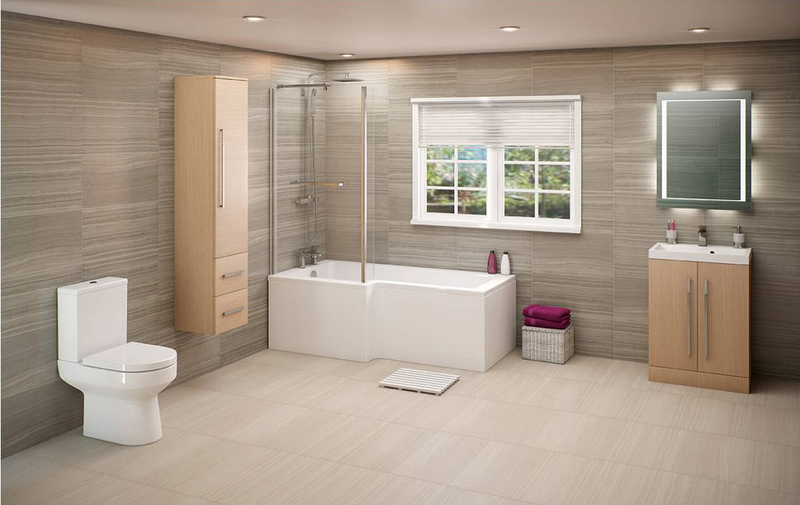 According to Interactive Investor "Bathrooms are more or less guaranteed to add value to a property. 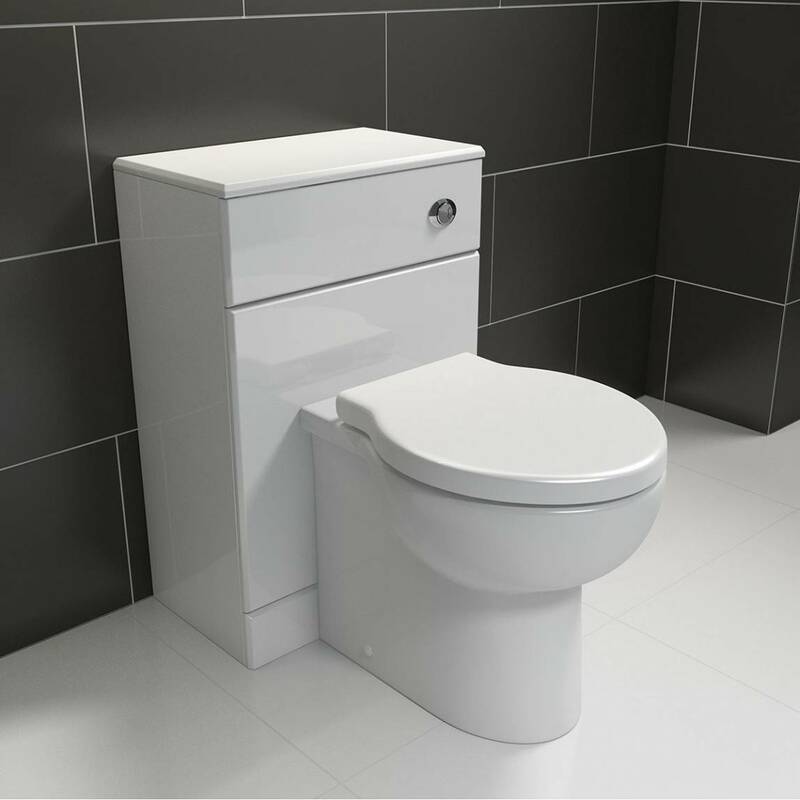 Fitting a new bathroom can cost between £500 and £10,000 for a basic suite, with prices soaring up to around £20,000. However, experts predict this could add as much as £25,000 to the value of your property." 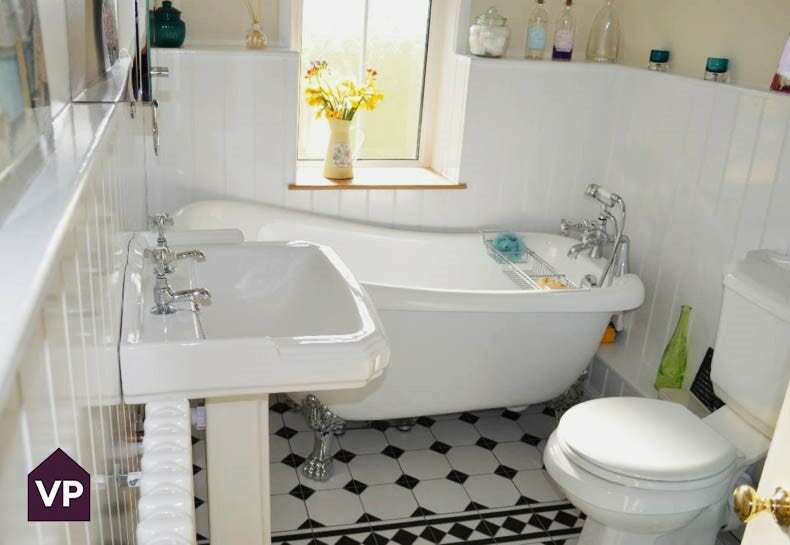 Indeed, at VictoriaPlum.com we have demonstrated how you can easily makeover a bathroom for under £600, whilst we have also examined bathroom installation cost in great depth. But one of the easiest ways of creating the illusion of space in your bathroom is to use colour. Your choice of bathroom storage will always be a key consideration when deciding on the colour scheme for your bathroom. This is because it is one of the more permanent features of any colour scheme, and is harder to alter in the long run. So try to set the general tone of your bathroom by your choice of furniture. It’s tempting to just follow custom and just use a shade of white for everything in your bathroom, especially if it’s a smaller room. Lighter colours certainly help to give the impression of space and are preferred for bathrooms because the fact that they show up dirt more easily promotes cleanliness. It’s definitely a good idea to use large areas of white or light shades in your bathroom’s colour scheme but you can actually give an even stronger impression of space if you combine shades of white with other elements. If your bathroom’s colour scheme is predominantly white-based, then use small splashes of colour and dark shades to provide an excellent contrast. This can help to give a strong sense of depth to the room, which can heighten the appearance of spaciousness. If your bathroom is already mostly white and well-lit, consider choosing bathroom furniture with darker areas to set this off, such as our Drift White and Oak Range. Or, if your bathroom’s paint-scheme involves small sections of darker colouring, enhance the space-giving contrast in the room with bathroom furniture that is lighter in tone. You can also maximise the appearance of space in a smaller bathroom with reflective surfaces. You may want to consider choosing vanity units and other furniture items with more mirror-space included to boost the sense of openness and airiness in your bathroom. For more style tips for compact bathrooms, read our latest blog post. When browsing through bathroom designs, many retailers and designers will proudly show off suites and furniture in bathrooms that appear to be the size of the entire ground floor of your home!